Who’s ready for some BBQ? 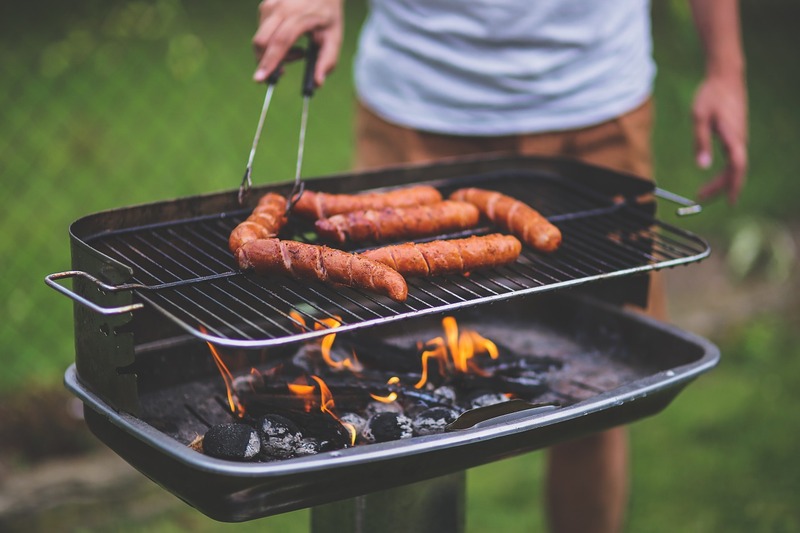 It’s the week of the Fourth, so that means it’s time to fire up the grill, grab a cold drink and sit back and relax. While no major severe weather outbreaks are expected, the Northern Plains will have to keep an eye to the sky over the next few evenings. Today’s Slight Risk area, as outlined by the SPC, also includes parts of Nebraska and Kansas as well as central Pennsylvania and upstate New York. The main threats with storms later today will be damaging winds and hail. 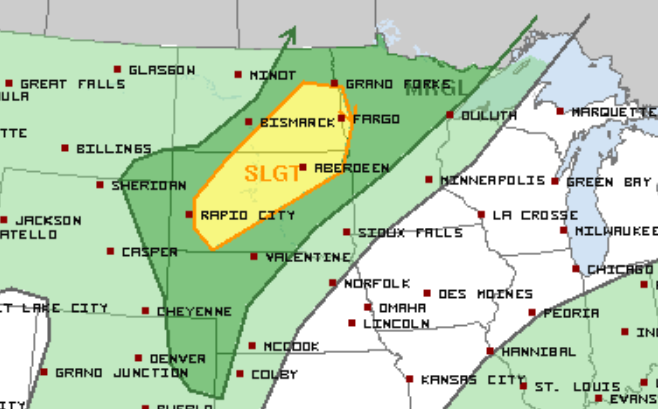 Tuesday’s risk area is focused on the Dakotas. Again, the main concern will be afternoon and evening storms that could produce strong winds and large hail. Keep this threat in mind as you plan your July 3rd festivities. Most of the country will be free of severe weather on the Fourth, with the exception of parts of Minnesota and northern Wisconsin. 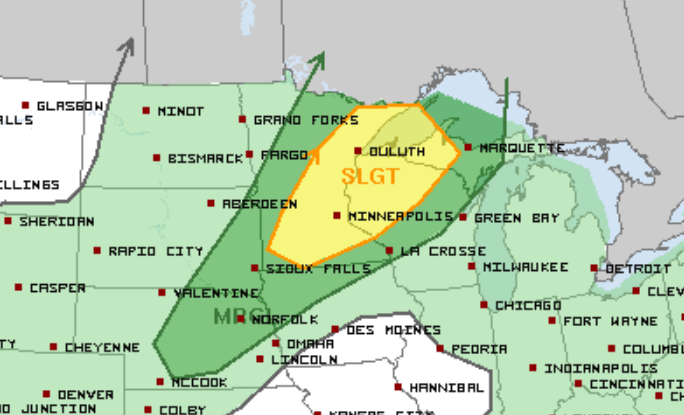 The SPC has a Slight Risk over the Twin Cities and Duluth in Minnesota. Storms that develop on Wednesday could threaten local firework displays in these areas. Pay close attention to the weather if your plans take you away from home and to community events! 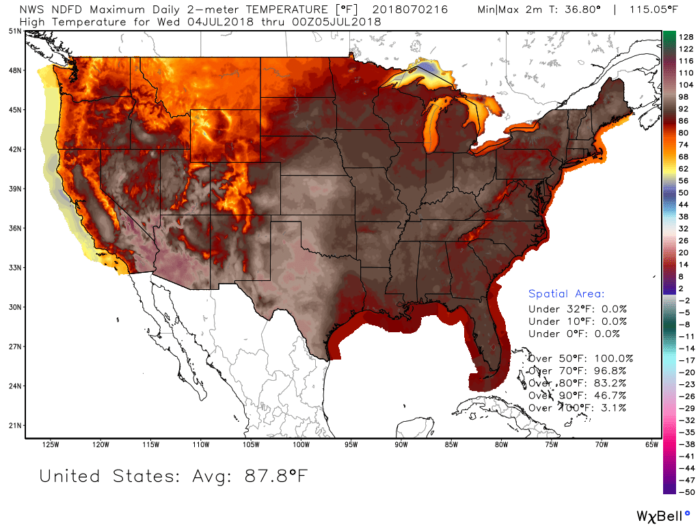 The majority of the country will be dealing with above normal temperatures and humid conditions as we move through this holiday week. On a holiday that most American’s spend celebrating outside, it’s very important to know the signs of heat illness and heat stroke. Be sure to take appropriate precautions in hot and humid weather. Drink plenty of water, take frequent breaks if exercising, stay in the shade and wear loose, light-colored clothing.